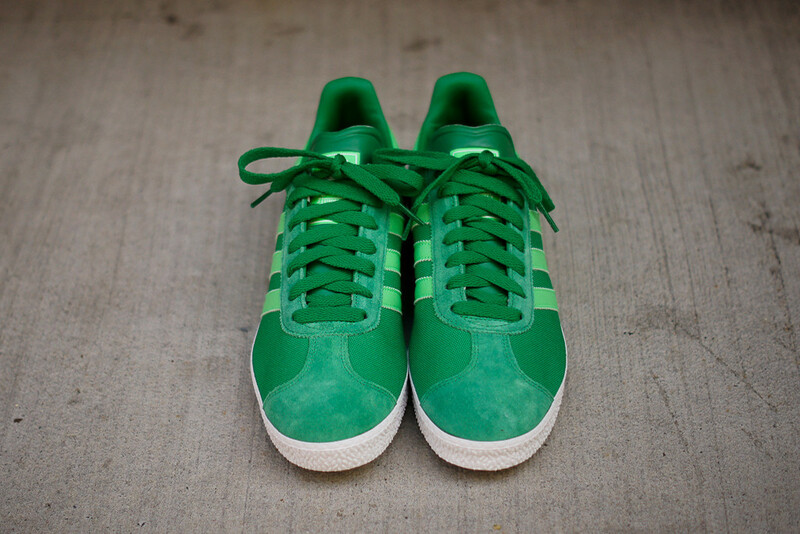 adidas Originals cooks up a green-on-green version of the Gazelle II. 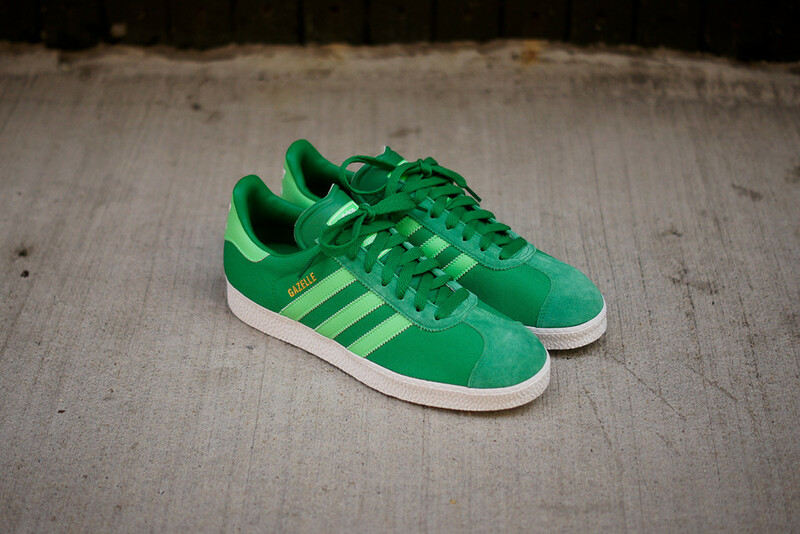 adidas Originals cooks up a green-on-green version of the Gazelle II this summer. 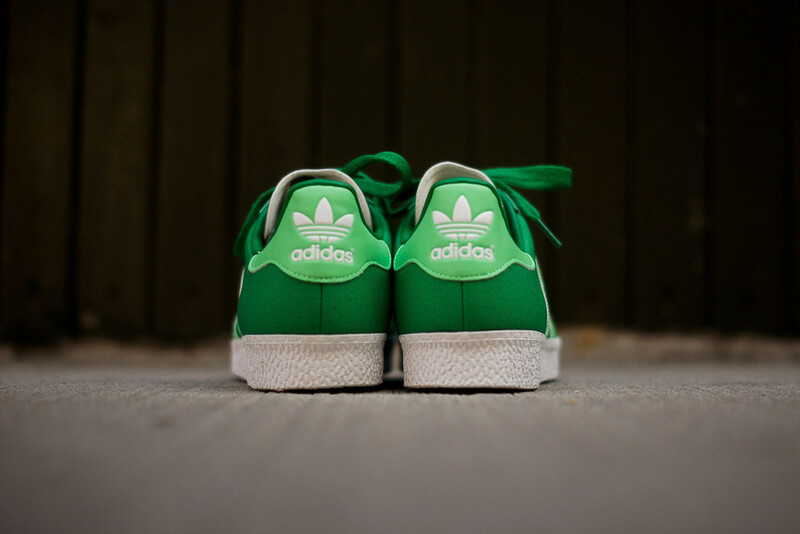 The classic Gazelle silhouette gets a canvas and suede mixture for the upper in vibrant green, with Three Stripes and heel accents in a lighter green. 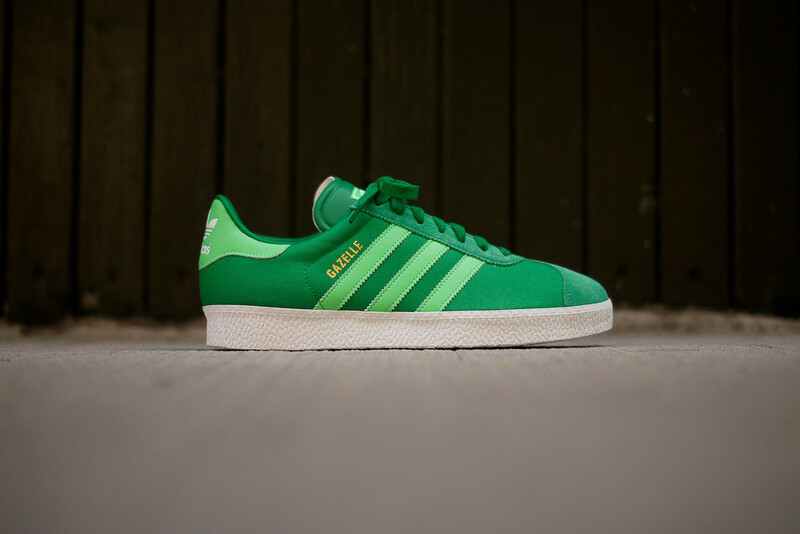 You can pick up the timeless Gazelle II at select adidas Originals retailers, including Kith NYC.